Blog | Page 2 of 24 | North County Group – Sierra Club S.D. 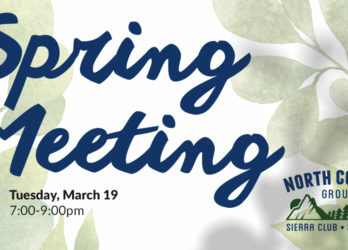 The North County Group Executive Committee will meet on March 27, 2019 from 6:30PM – 9PM at the Sierra Club Chapter office, 8304 Clairemont Mesa Blvd #101, San Diego. Anyone is welcome to attend the North County Group ExCom meetings.